One of the highlights of my brief trip to Seoul was visiting a cat cafe in Myeongdong. Although I love cats, both K and I are quite allergic, which makes it highly unlikely that I'll ever own one. 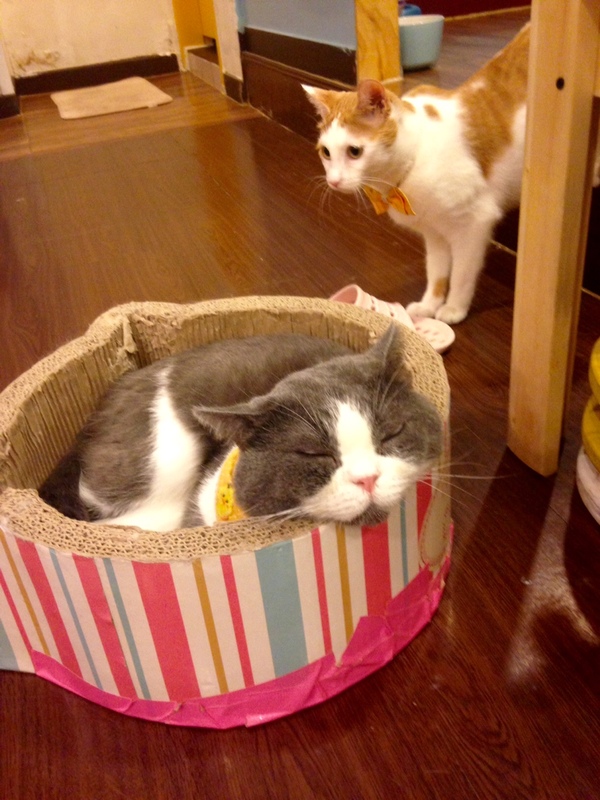 Once I learned that cat cafes could be found in Seoul, visiting one was high on my to-do list. I greatly enjoyed going to the one nearest to my hotel. Because the employees are constantly cleaning, my allergies didn't even act up too badly despite the presence of so many cats in an enclosed space. There were no bad smells either. The cats seem happy and well taken care of, and the employees are very affectionate towards them, a feeling that the cats seem to reciprocate. At the door, visitors are asked to swap their shoes for slippers provided by the cafe. Visitors are generally asked to use hand sanitizer or wash their hands before entering. 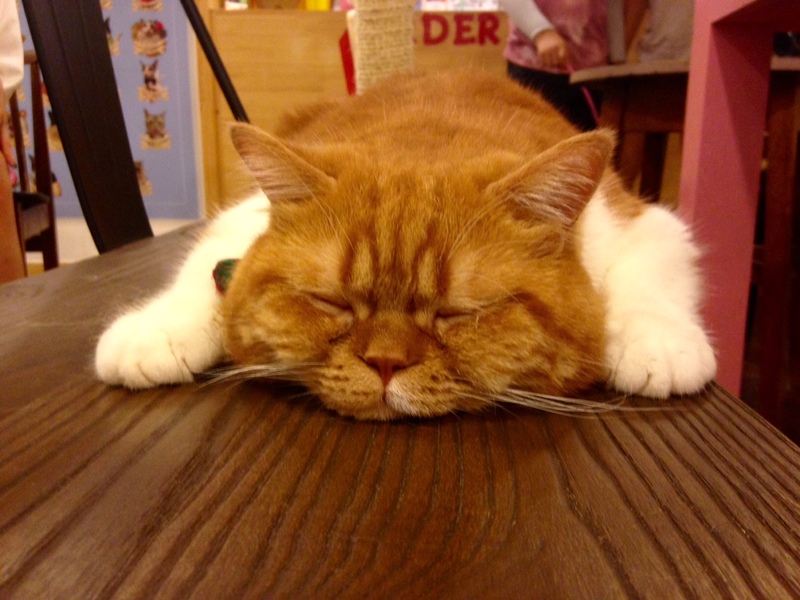 Cat cafes charge for admission, and the price will often include a drink. 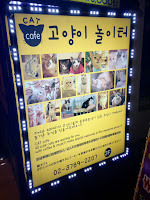 The one I went to charges 8000 KRW, which is about $6.75 USD. The cafe I went to also provides large plastic drawstring bags for handbags and shopping bags to keep things clean. 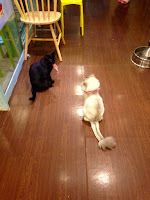 Sometimes, the cafe also sells treats that visitors can feed to the cats. Sadly, these were sold out when I visited in the late evening! 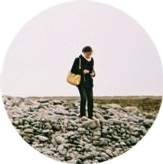 I posted a few more photos behind the cut. Also, for those who find themselves in Seoul and would like to experience it for themselves, I tried to give some directions. Seoul can be a bit difficult to navigate when one has no Korean language skills, to the point where I'm not completely sure of what street the cafe was on, or even the proper name of the place! As you can sort of see from the above photo, this particular cafe is fairly spacious. 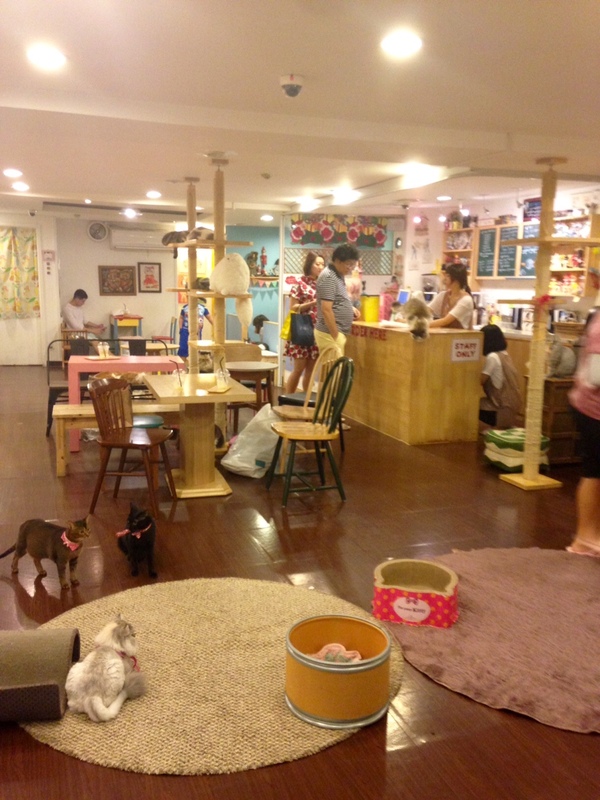 There are also many shelves and wooden boxes built higher up into the walls so that the cats can avoid customers if they want to sleep or hide. 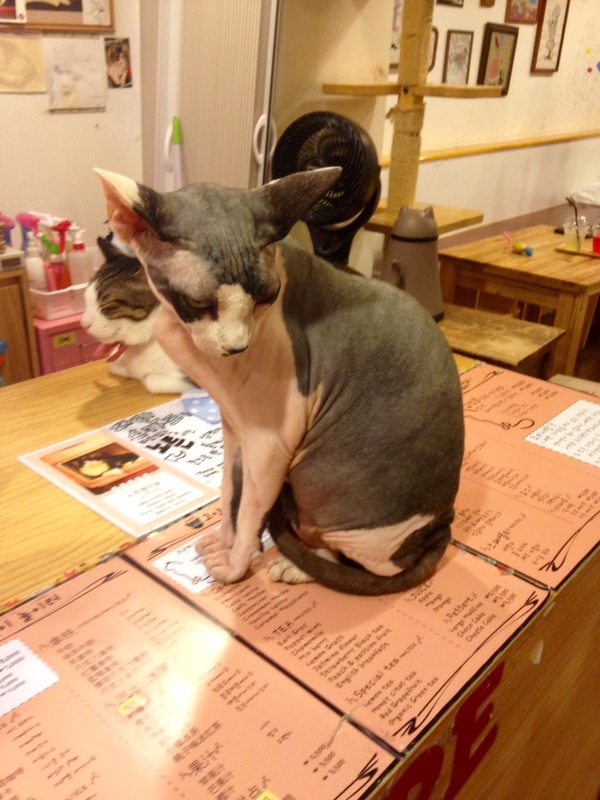 The cat cafe I visited usually has the pictured costumed employee standing outside on the nearest major street to advertise their location. They cafe is upstairs in a building next to the internet cafe that the Luigi costume guy is promoting. 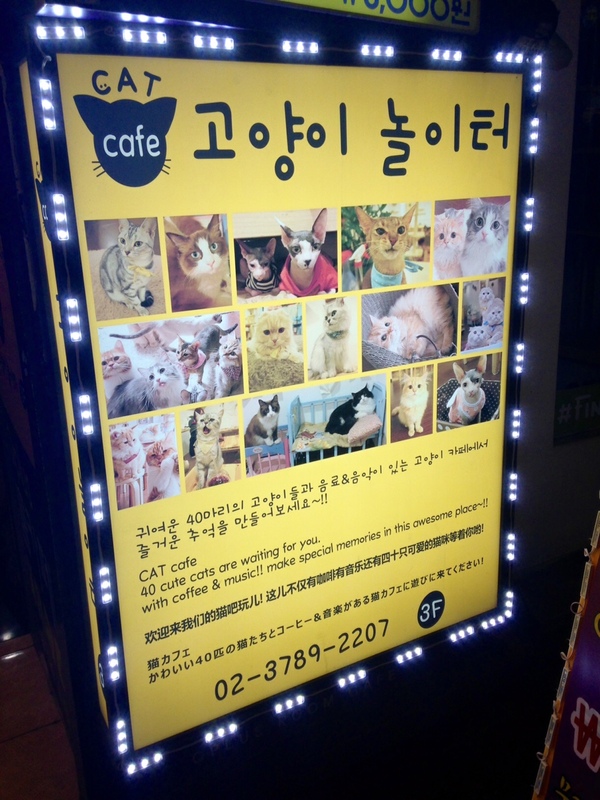 Both cafes are located on one of the streets off Myeongdong 8-gil (I think) in this area, not far from exit 6 of the Myeongdong subway station. I also have a picture of their sign below.